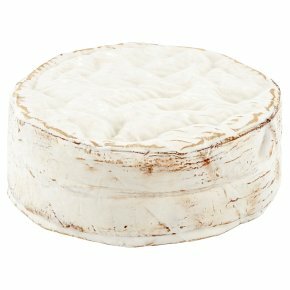 This soft, gooey cow’s milk cheese is a cross between a Vacherin and a Camembert. It is wrapped in a spruce collar and presented in a wooden box. The bark collar infuses the cheese with subtle woody pine notes and floral earthiness. Lovely and rich on the palate and low in salt. Produced by the producers of Tunworth, Stacey Hedges and Charlotte Spruce at Hampshire Cheeses. Winslade was developed over the last two years as an addition to Hampshire Cheeses’ Tunworth, Stacey and Charlotte wanted to create a cheese that was a similar size and texture to Tunworth, so they could manage it using the same tools, but very different. Using expertise from cheese guru Ivan Larcher they created a new Vacherin/Camembert cross. Winslade was awarded Best New Cheese in 2013 at The British Cheese Awards. The perfect addition to any cheeseboard along with a selection of fruit and nuts. Also great when paired with chutneys and eaten with cold meats or on a freshly baked, crusty baguette.